Director: Amanda Lipitz. 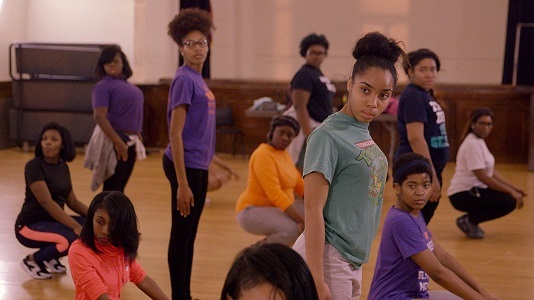 Documentary about several members of the first senior class of the all-black Baltimore Leadership School for Young Women, focusing on their commitment to competitive step-dancing but also their struggles to graduate. Interview subjects include Blessin Giraldo, Cori Grainger, Tayla Solomon, Paula Dofat, and Gari McIntyre. Twitter Capsule: Other movies in this genre have delved deeper but this one's got spirit, humor, darkness, and flint. These girls! This school! VOR: ③ Won't give fellow documentarians many new ideas, but several people, especially young black girls and their advocates, will treasure this film.